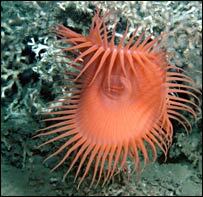 Spectacular deep-water corals off the south-west coast of Ireland are in urgent need of protection, a conference in Dublin will hear on Monday. Marine biologist Dr Jason Hall-Spencer says unique habitats are being bulldozed with heavy fishing gear. He has video evidence of the damage and wants the authorities to close off areas that remain pristine. He believes a satellite monitoring system could be used to police boats and keep them away from the reefs. "A new European law requires boats above a certain length to carry a black box on board," the University of Plymouth researcher told the BBC News website. "The Vessel Monitoring Scheme (VMS) has never been used to protect bottom-water habitats but that is precisely what should be done. "We could close these areas off and if people went in there to fish we would know about it and would be able to prosecute them. Now is the time to act." Dr Hall-Spencer has surveyed large sections of the reefs which are located about 100km (60 miles) off shore, south of Rockall. 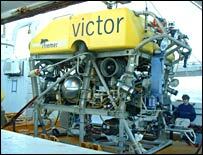 His voyage was part of an international project using a German research vessel and a French remote-operated vehicle called Victor that can film at depth and bring back samples to the surface. Dr Hall-Spencer is to describe his work at the annual British Association's Festival of Science, which this year is being held in Dublin, Ireland. "Few people realise that we have such interesting, precious and dramatic habitats right on our doorstep," Dr Hall-Spencer said. "Some of the organisms down there have not even been described by science." Experts have long known about corals and sponges in shallow, warm, tropical waters, and discovered deep-sea corals in the late 1800s. Until recently, however, no-one realised just how widespread these cold coral "forests" were across the globe; many are centred along the edges of continental shelves or around seamounts. The colourful reefs and the fish and other animals they support are extremely slow-growing and, as such, are particularly vulnerable to any disturbance - which is why marine biologists are so alarmed that the fishing industry is now targeting these areas. The latest nets are armed with steel weights or heavy rollers and destroy everything in their path. 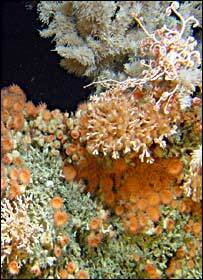 Dr Hall-Spencer has radiocarbon dated some coral samples off Ireland and found them to be 4,500 years old. "We used the robot for seven days solid and I'd say 40% of the area had been smashed up. The coral reefs we've filmed will not recover in our lifetimes." Efforts are being made at United Nations level to restrict the destructive practice of bottom-trawling but the moves are being met with fierce resistance by some countries, says Dr Alex Rogers, from the British Antarctic Survey. "In terms of these deepwater trawling fleets, it's actually a very small number of fishing vessels that are operating globally - perhaps a couple of hundred boats," he told BBC News. "These are large, powerful vessels operated by a small number of developed nations, including from Europe. "They're having a serious impact on some of the target species they're fishing as well as a very, very damaging impact on the seabed." Dr Hall-Spencer's research is sponsored by the Royal Society and the Esmee Fairbairn Foundation. All images courtesy of the Alfred Wegener Institute (AWI) and the Institut Français de Recherche pour l'Exploitation de la Mer.